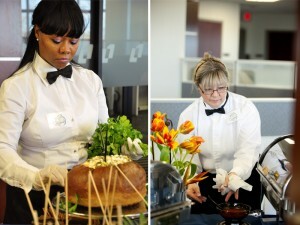 Culinary Associates is a full-service, corporate-class caterer that serves companies throughout Southeast Michigan. For more than 11 years, we have won the hearts and taste buds of our corporate clients by preparing the finest-quality meals and providing the utmost in hospitality services. We are dedicated to providing corporate-catering services that will make a lasting, positive impression with guests and stakeholders alike. You can rely on Culinary Associates to always be prompt, courteous, competent, and professional, striving to exceed your expectations. We will never take shortcuts in the preparation of our food, and we welcome the opportunity to accommodate special requests, unique menu selections, and favorite foods or delicacies. Throughout the past 11 years, Culinary Associates has earned a solid reputation for providing professional and reliable catering services. We have won local, regional and state culinary-awards, and most importantly, the trust, confidence, and loyalty of our corporate clients. We are able to cater any type of occasion such as conferences, seminars, networking events, holiday parties, office meetings, and more. Culinary Associates employs highly-skilled professionals to plan, execute, and manage every aspect of your catering service. From our chefs, to our bartenders, wait staff, and clean-up crew, we provide “top-shelf” catering services for both formal and informal occasions. 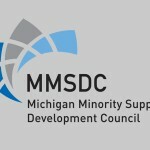 Culinary Associates is certified as a Michigan Minority-Business Enterprise; procuring our services counts towards your company’s minority-spend goals. 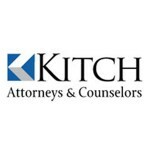 We are also TIPS certified and committed to providing responsible alcohol-service; our bartenders have the knowledge and awareness to recognize potential alcohol-related problems and to intervene as necessary.